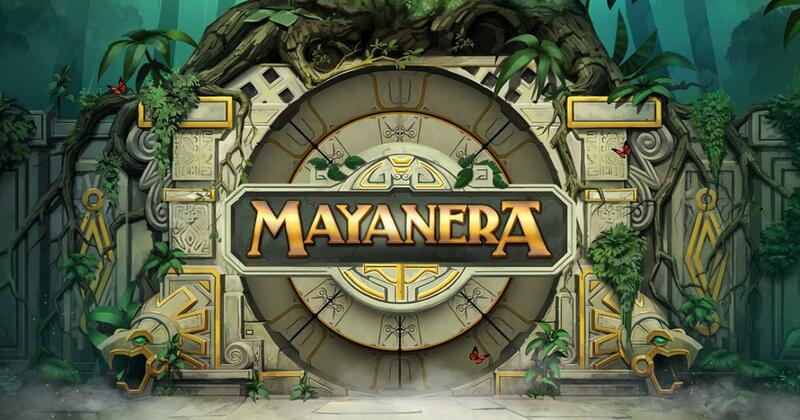 An innovative slot machine, Mayanera relies on a Wheel shaped game area, and it’s a Spinmatic release. Mayanera is not the only slot machine around, to have a theme that’s based on the Mayan civilization. What’s unique about it though, is the richness of the slot’s graphics and the unusual way in which it is set up. I enjoyed the visual part very much, and I believe you will too. It has a god of the Mayans sitting to the side, decorated with feathers and wearing gold jewelry, a temple as a background, while the entrance appears to be made out of concentric wheels, on which you get symbols. The symbols are colorful, small and round, and they appear to show various Mayan symbols. As each spin is initiated, the wheels spin in different directions, and they may end up aligning themselves in just the right way, to deliver wins as well. While Mayanera has some excellent options to offer, it’s also a slot with a 94.78% RTP, which is definitely below today’s average payout. Still, it has for its features bonus games with free spins and multipliers, Time Warp with re-spins and nudges, so there is enough variety there for most players. Payouts will get as high as 1,000x. When you select a bet, you can do it with a total amount which is lowest at $0.10, and highest at $40. This unusual Wheel, with three concentric circles for symbols to appear on, needs three matching symbols in order to pay you for a combo. The three symbols either have to be next to each other on the three inner circles, or they need to be on the same circle. Up to 8 symbols can be on a circle, so that’s the largest number of triggering icons for a combo. There are also symbols which are collected from the gear positions, and which will correspond to the Sun, the Earth and Moon. As you collect them, eventually you will trigger the bonus game, but you need all meters filled first. Th Nudge triggers randomly, during a losing round, and it moves things around to get you paid. Time Warps are also reserved for losing spins, random ones, and there will be 1 re-spin triggered for this feature. Mayanera has unique and fun features, a unique gameplay style, but it also pays less than other slots in the long run, the RTP being only 94.78%. Try of out a demo version of Mayanera.